DENMARK – New results show that in the first few days after calving the dairy cow suffers from a massive protein deficiency. For this reason scientists are now shifting their focus from the cow’s energy balance to her protein status. The first few days after calving are a challenging time for the dairy cow. She has spent months nurturing the growing foetus inside her, she has just been through a calving with all the opportunities for infection and other troubles that calving entails, and now she is getting set to produce huge amounts of milk – her yield will rocket from 0 to 20 kg milk in the space of a few days. No wonder that 90 percent of disease cases in dairy cows occur within the first weeks postpartum. For decades, farmers, advisors, veterinarians and scientists have had their focus on the energy balance and fat mobilisation in cows in connection with calving and the ensuing heavy milk production. With a new research project the scientists are going to study yet another aspect, namely the cow’s protein status. New studies show that the cow suffers from a massive protein deficiency the first weeks after calving. “We have known for a long time that just after calving, the cow has a protein deficiency, but our latest studies show that the extent of it the first week after calving is huge,” says the leader of the research project postdoc Mogens Larsen, Department of Animal Health and Bioscience at the Faculty of Agricultural Sciences. 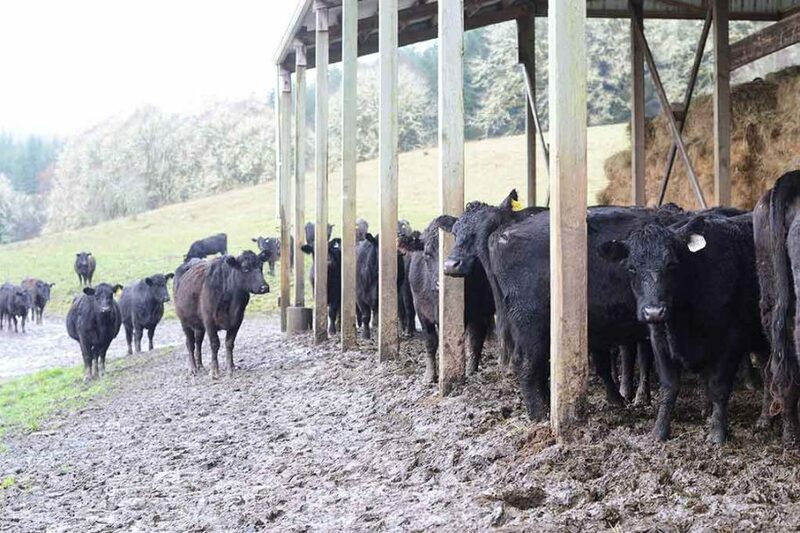 “The massive protein deficiency can have an impact on the ability of the cow to absorb and use nutrients and this can affect her liver function. This can, in turn, lead to a reduced function of her immune response and poorer feed uptake,” explains Mogens Larsen. Studies of the cow’s protein status show that the amino acid content plummets at calving. Amino acids are used in the liver to produce plasma proteins, and to maintain immune function – altogether, important elements in the cow’s ability to resist disease. Within two weeks after calving the blood amino acid content will increase again but not enough to match the enormous increase in milk yield. The scientists will investigate what this means for the cow by conducting a study in which the cow is given extra protein already the same day that she calves – and by using the direct route. “The cows will be given an infusion of protein directly in the abomasum,” explains Mogens Larsen. If it turns out that a high dosage of protein immediately following calving can keep some of the problems that cows experience in connection with calving and early lactation at bay, then that knowledge can pave the way for further research projects regarding feeding strategies. The three-year individual postdoc project is supported by funds from the Danish Council for Independent Research. Parts of the project will be carried out in collaboration with Agriculture and Agri-Food Canada. How Much Does a Chicken Eat?